When you work with the world’s most innovative companies, you better be prepared to keep pace. At QTS, we push the boundaries of what you can expect from your data center provider. 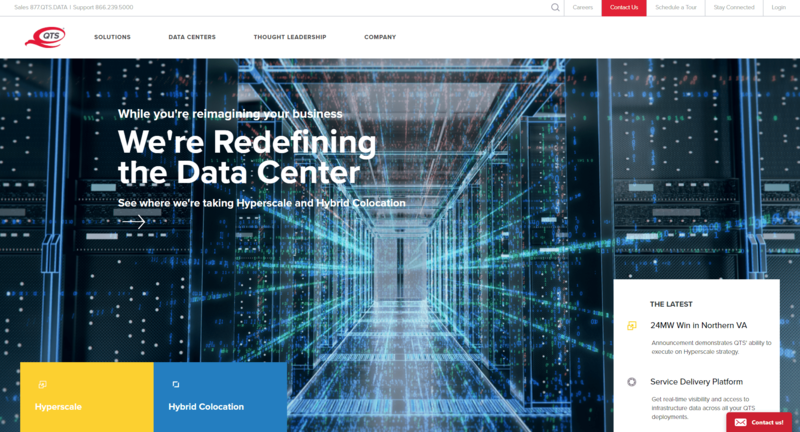 QTS is the only data center provider capable of serving the current and future needs of both hyperscale and hybrid colocation customers through a Software-Defined Data Center experience. QTS serves hyperscale and hybrid colocation customers by creating an unrivaled digital community. Our massive infrastructure, innovative technology and industry-leading customer satisfaction helps you power more agility, more flexibility and better efficiencies. We are the data center of the future. At QTS, you’re not just a customer, you’re a partner. Our team is invested in your strategic plan and committed to helping you build custom solutions and strategies to meet your unique needs. We are with you throughout your hybrid IT journey with unmatched customer support backed up by an industry-leading Net Promoter Score. Join us for a night to remember with great friends, drinks, and food. This social event will maintain the same community connections you have grown to expect from ATP while introducing you to new industry leaders. ATP has been going strong in Atlanta since 1999 by providing a friendly environment to build face-to-face relationships, share industry knowledge and give back to the community. ©2019 Atlanta Technology Professionals, Inc.